I thought it might be interesting to consider writing lyrics for songs today. Song writing has always fascinated me, but truth be told I’ve never written even one and don’t really know the first thing about it. So I decided to try to teach myself and all of us a little by investigating. If you are already a songwriter, please comment and add to anything I write here. I am in “learning mode”. To write this article I read many articles and will share the meat of a few with you and give you the links to explore further. Apparently one may begin by writing a song and then writing the lyrics, or by writing the lyrics and filling them in with a song. Some songwriters do both. I’m not going into detail on the chord structure and music side of this. Obviously the two most common instruments to compose on have been the guitar or the piano and the approach is probably different with each. As we are primarily poets, I was interested in the ways poetry was like and different from songwriting. The word lyric comes from lyre and lyrics were sung early on in Greece in much the same way we use them today – from patriotic hymns to national anthems to sports anthems to love songs. From what I’ve read they were popular then as they are now. Pat Pattison who wrote the book Writing Better Lyrics gave an interview to Reader’s Digest. The interviewer was not named. (Read the complete interview here.) I will quote most of it as it addresses exactly what I wanted to know myself..
“Songs are your best teachers. I try to learn something from every song I hear. I try to see what’s working, and why – where the song connects with me – where it makes me feel something. Then I look under the hood to see how it was put together, to extract tools that I can pass on to my students. I’ve learned a lot since I published WBL, and I’ve tried to pass those new ideas along in this edition. 1)Poets can depend on the reader’s being able to stop and go back, even to look up words while reading the poem. A lyricist can’t. 2) Since the end of a line in poetry is a visual cue, a poet can end a line, yet let the content continue on to the next line, creating tension, but not confusion. The end of a lyric line has a sonic cue—the end of a melodic phrase. Because the song is aimed at the ear, when a lyricist tries to carry a thought into the next melodic phrase, it usually creates confusion, since there is a disconnect between the melodic roadmap and grammatical structure. 3) Because a lyric is a sonic event (directed to the ear), rhyme is important, since it provides a roadmap for the ear; showing relationships between lines, creating forward motion, creating either stability or instability in sections, and telling the ear where sections end. Note that with the recent trend toward the performance of poetry in slams and rap, both directed more to the ear than the eye, rhyme becomes an important element, since both are directed to the ear rather than the eye. 4) The compositional strategies of the poet differ dramatically from the lyricist’s. The vast majority of poems, whether fixed form, blank verse, or free verse, are linear journeys, moving from idea to idea, line to line, until the end. Except in rare cases, such as the rondel, poetry’s compositional strategy does not use repetition of content. Older ballade poetry sometimes uses repetition, but note that it was performed, and directed to the ear rather than the eye. 5)Lyrics depend heavily on repeated content, usually refrains or choruses. The development of ideas must take account of the repeated sections, and in the ideal case, transform or deepen the meaning of that same content each time we hear it. 6) A lyricist has extremely limited space to work with. Normal commercial songs, lasting 2 ½ to 3 minutes, limit space dramatically. Not counting the repeated choruses or refrains, the average commercial song contains 12 –to 20 lines. Unless working in a fixed form (sonnet, terza rima, haiku etc), the poem can continue as long as it needs to. 7) Lyrics are far more dependent on regular rhythm than poems, since a lyric’s rhythm is joined to musical rhythm. The musical rhythm, because it can extend a syllable’s length or syncopate its rhythm, can transform what, if spoken, would be mind-numbingly regular, into an interesting journey. The first 4 feet of line 1 are strictly iambic. The last foot is pyrrhic, creating a dimunendo that supports “quietness.” The first three feet of line 2 are strictly iambic. The fourth foot is pyrrhic, supporting “silence,” while the final spondee slows the line down, reinforcing the slowness of time. Neat. “There are many other differences, but this ought to suffice to quell the often heard claim, “Her lyrics are pure poetry.” No, they aren’t, though they are likely written in fresh, interesting language, using images and metaphor effectively. At least great poetry and great lyrics share that in common. “The best writing advice I have received comes from three sources: Aristotle’s Poetics, where he says that every great work of art displays the same quality: Unity. Everything works together, everything in the work belongs and serves the purpose of the work. Aristotle’s may have been the first statement of Prosody: appropriate relationship between elements, whatever they may be: melody and words, chords and message, rhyme scheme and emotion, and many others. This has become the guiding principle in all my writing and teaching. Leonard Bernstein’s brilliant lecture series at Harvard in 1973, “The Unanswered Question.” He shows the depth of the relationship between music and poetry, and how both use the same fundamental principles—true, indeed, for all the arts. They are all fundamentally the same, just having different avenues of expression. Painting is different than song, but at the deepest level, they all use the same principles: tension/resolution, symmetry/asymmetry, etc. This has allowed me to teach poetry to musicians, using a language they know and love to explain how poems work: counter-pointing, rhythm, syncopation; constructing tonic, subdominant or dominant functions at the ends of lines. They get it instantly, and it allows them to look at the other arts the same way. “Paul Fussell’s Poetic Meter and Poetic Form. A marvelous book, especially chapter three where he talks about poetic use of rhythm, and the emotional effects of various syncopations within a line of metered poetry. The relationship between lyric and melody works in the same way. “The combined effect of the three works creates compelling reasons to have a huge toolbox to draw from, and to select and use these tools in support of the central idea of your song: its number of lines, lengths of lines, rhythm and phrasing of lines, rhyme scheme, and rhyme types. The structure you create acts as a film score would – adding additional emotion to the message, even controlling how the listener perceives it. I’ve noticed today’s music doesn’t rhyme as much as it did back in the big pop days of the 30s to the 50s. Those were the days of tin pan alley and songs had a formula developed by brilliant song writers and song writing teams who were composing for broadway variety shows, burlesque and broadway shows. These have evolved over the years but here is a concise look at the way to write a tin pan alley hit in 32 bars. There were articles talking about Paul Simon with BIlly Collins, Stephen Sondheim, and the best is Bob Dylan’s The Song Talk which is linked here. I would have liked to have been at the discussion between Paul and Billy but this was simply a concise summation of what they talked about but not what they said. As I read all of these articles, I found that like poetry there is no particular way to do it. Write a song, then write the words – make it work: we have plenty of examples of that many of them clever, funny, heartfelt and enduring. Write the words, give it to a composer who is a performer and can sing – Bernie and Elton John. 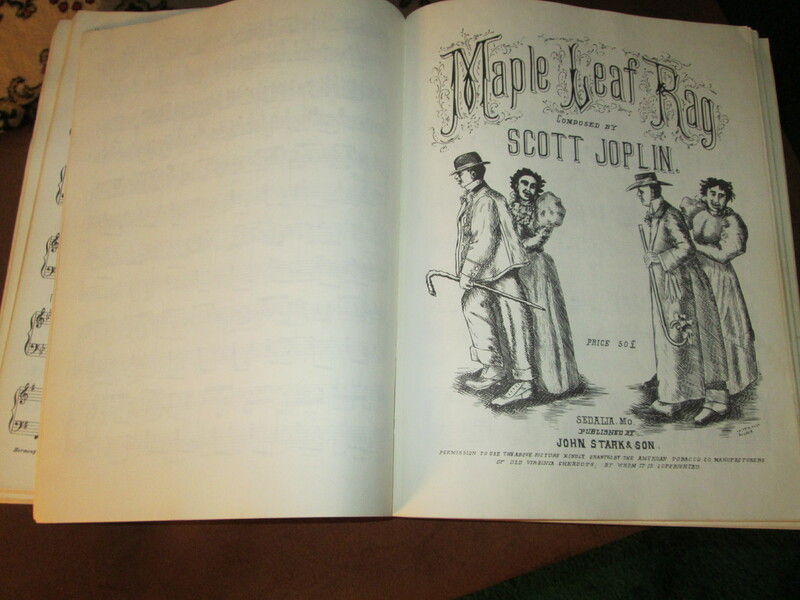 Write a book, write the songs – Gilbert and Sullivan, Rogers and Hammerstein, Lerner and Loew, George and Ira Gershwin. 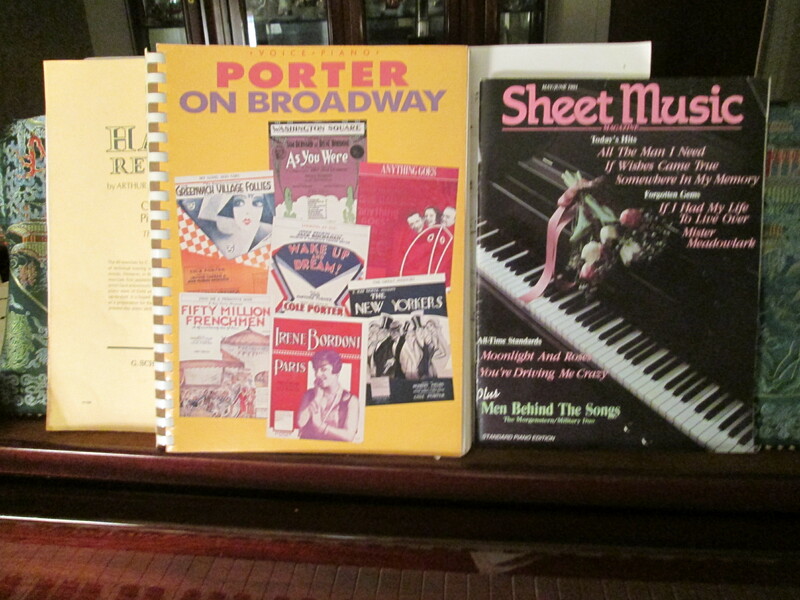 Write both: Irving Berlin, Stephen Sondheim, and the brilliant Cole Porter. I’m working on a tune and a lyric as a rank beginner. Feel free to post song and lyric or either on your blog. Good luck to all, and if you decide not to leave us a song, comment anyway. Thanks for coming by the pub today and those of you who wrote, link with Mr. Linky below. Looking forward to your contributions! the garage) I’m Looking For Someone To Love! (Buddy Holly). So settle in, come and go, leave us a food words – it’s all good! And it was so satisfying Claudia – I want to play it over and over again! I’m imagining your evening. Love all of those – did they play the Mendelssohn Violin Concerto in E minor? One of my all time favorites – second of course to the Tchaikovsky. Sounds in my ear now – so lovely! Thank you for sharing. Indeed it was the Violin Concerto.. And the violinist only 27 years of age..
Not mad about Bartok – his music tends to leave me frazzled. But I’d have loved the rest. I can agree to that.. Very nice article, Gay! I enjoyed it very much; and I enjoyed both of your songs too! Thanks Mary. Hope you’re staying warm. I found your lyric vs. song writing topic, really interesting. I love music but have never written a song. I think most poet’s would make great song writers. Thanks for tending bar today-much appreciated. I may be by later with something if my day allows. good insight — imagine the thrill writing a duet like Rogers and Hammerstein and hearing it performed…. I’d like to write a country western song, as soon as I learn more about pickup trucks. Maybe we’ll see you at the Grammys – I think you are more than halfway there! I second that, Claudia! And he hasn’t heard you play sax yet either! What a lot of research you did for us. I worked along those lines with my poem today, writing it whilst listening to Kathleen Ferrier sing and trying to get the rhythm and emphasis like she accents it in the song. Great Hanna – we’re all learning here. So many good things that I’ve already read! Looking forward to yours. Terrific article, Gay, thank you. Songwriting is something I keep meaning to have another go at (I wrote my first, a lullaby for the birth of Prince Charles. I was 10) and you’ve given me the prod I needed. Tomorrow! Great Viv – imagine that – now you can write another for Georgie! Ha…or a nocturne. I like the idea of that. I wish I had more time for this one 😉 , although I had a poem I tried to turn into a song ….so much can be said for poetry and song and you presented it well. Thanks, Gay, and I will be back to read after I see the village play this evening, Les Miserable (although the best was the 2012 London show, at least to me. I loved it — I saw it on Broadway – I think it was my 2nd Broadway show. Wish I had seen it in the West End – must have been so thrilling. I saw Miss Saigon there. Can’t say how much I admire your work, the way you approach, the way you get me into song/poem anything is a gift I envy. Yours was deeply affecting to me today. Thanks for this Gay. I wish I could write songs too. I’m afraid what I’m writing may not qualify for you prompt. I can’t, at this point, even imagine a tune for it. But I did write it with intention that it be sung. And at some point I will sing it to my grandson. I’ll be posting a little later. I love this prompt Gay, for once again dVerse seems to have the most fortuitous timing with my muse. And now I have some new articles to peruse to boot. I love it when that happens. Hurrah! Ooh, such fun! I wish I had the skill to write the music to go with the lyrics I have written! Mind you, I found out yesterday that Jamie Cullen can’t read music, and that hasn’t stopped him having a very successful jazz piano career! My husband was like that. He just sat down and played. It was as though he were born knowing chord structure. I didn’t study long enough. I took lessons in grade school for three school years but went on to play in orchestras, accompanying vocalists and solo students at contests and choirs. I learned by reading, listening and doing – but it was all sight reading and scores…I fumble when trying to play by ear … but I love trying! This is a very interestinf and challenging prompt!! 🙂 I do have a question though…. Are we supposed to produce musical sheets as well?? O.o Or just the lyrics?! You can do anything you like – just the lyrics works – that’s what Brian and Claudia did. I made a youtube (just because I never had and wanted to figure it out) and I put up an audio tract for the other one I wrote just to try it in both directions. There’s no requirement – do whatever makes you happy. This is just a bit of fun today and something I think all poets find appealing. i think you will do just fine at this as you def get the rhythm in your poems…. Songs seldom are written with meter, but writing songs is the way to learn to write with rhythm. Thank you for this nice post! I love sharing a song of mine, and I look forward to see what others have come up with! Thanks Anders. Keen to read your piece! This is a great challenge Gay. And I say challenge because I love so many styles of music, so many great writers and composers. How shall I ever choose what style to use? Thinking. Thinking. Humming. Thinking. I may have to write this after my son goes to sleep – so far he’s been singing a mashup of songs after school and I’ve got more ear worm songs than I can handle! Clutch Powers “I work alone” to “Happy Birthday” to him humming the Darth Vader theme and Angry Birds…c’mon muse. Help me out! ha….there are plenty of earworms in kids songs…and plenty of other songs as well…. I like that too – and Old dogs, children and Watermelon Wine. That always tears me up. Hey it’s the Olympics – as they say on NIKE — JUST DO IT! Great education for me. Thank you, Gay. I was a songwriter before a poet. Last year, I took a MOOC with Pat Patitnson through Berklee College of Music. He emphasized prosody, just as you said. If I can figure out how to post my final project, I will. Great post! Maybe you will guest host a follow up sometime. I’m sure you would bring more to the table than I did. So interesting and neat you had that opportunity. Thank you, Gay for such a comprehensive lesson in lyric writing…not that I really brought all that to my humble offering. Wasn’t even going to attempt this since have been feeling under the weather for a few days but something sprang up in my headachey head and so I linked one in. Did have fun with this. Thanks again! Had some things this evening but will get round to reading more later tonight and in the morning. Again, you guys, great jobs today. Truly have enjoyed all I’ve read and looking forward to more. Thank you Gay – this should prove interesting. Very interesting and insightful write – thank you. In ancient times poems were sung, such was the role of the bard. I found a poem I think can be sung and offer it here. I had planned to open this article with that information – but there is so much to talk about – it’s a sister world to poetry. Gay, this is such an impressive prompt, like a short thesis on lyric/songwriting. Where I am not planning on writing a lyric I will indeed pop back to enjoy some written by the brave among us! Thank you. smiles…..great to see you sara! Okay! I’ve decided that a day late is the new On Time! Hmmm… that sounds like a line in a country song! Works fine, Charles. Glad you brought that sweet song to the pub today. Much enjoyed! cool…that would be fun to involve the kids…. Just now getting back to reading. Looking forward to reading your offering this afternoon. Hope you’re having fun today and enjoying this exercise. Just dropped in to see what the prompt was today. So interesting and I wish I had the time to do it. Family ill health has curtailed my work lately. Nice post. Thanks – bookmark for later. Getting v. cool responses today! Hope health issues resolve and wishing everyone speedy recoveries. I, the songwriter, have nothing in me to write one today. But I have to tell you, Gay, this is an incredibly well-researched posting rich in links and facts. As a writer of both lyrics and music, I always have the words first. The music sometimes comes with them, but the heart of every song I write is in the words, the thought, because I wrote them to perform, and I look every person in the eye when I perform… so I guess I’m a little odd that way. Love this comment Amy. Perhaps we can follow up on this subject down the line. I want to play around with writing some and maybe we can have you join in then. I think this has given all of us who haven’t done it a good start and for others, the information is here to try it when one has time. Thank you! Cleaning up and washing glasses. Getting things ready for Claudia’s party at Poetics today. Thanks for coming by and I’ll see you soon! I think they both require very similar skills.